You might remember him as Young Kenny in Phoenix Nights but Justin Moorhouse is one of the north’s most prolific (and hilarious) comedians. Hailing from Manchester, Justin has been making audiences howl with laughter with his cheeky northern humour and wit for years. Now, the comedian, actor, dog walker, dad and undercover vegan (his words) is embarking on a UK wide tour of his new show, Northern Joker. I caught up with Justin to discuss his new show, being a vegan and game shows! The show got fantastic reviews in Edinburgh but more importantly for Justin was the audience reaction – something that is easier than ever to gauge thanks to social media. “They tweet and Facebook and tell you very directly whether they enjoyed it or not.” He continues, “I’m not precious about it – sometimes people say nice things and occasionally people have a go but you know what it really doesn’t matter does it? They used to say newspapers were tomorrow’s chip paper but in this day and age of Facebook and Twitter, it’s a bit of data. Justin has obviously been doing something right though. Not only is he a fantastic comedian, Justin is also a prolific actor with roles on Coronation Street and at the Royal Exchange Theatre under his belt. I wondered if Justin, who used to be a salesman, ever imagined he’d be doing his dream job for a living? Phone safely encased, I think we can continue, so how was working with Peter Kay on Phoenix Nights? One of Justin’s most famous jokes is about Donald Trump’s wall being a failed DIY project – I wondered if comedy could be a playground to make comments on the political without being serious? Justin is also a regular on celebrity game shows – winning Celebrity Mastermind. However, he hasn’t fared too well on Pointless and Eggheads I wondered if he was a clever lad or if it was just a fluke? “I did Celebrity Mastermind on my own – smashed it, no problem! Then I get other people involved – team mates and don’t win – you know what I’m saying?” He laughs. Another part of Justin’s unique character is his devotion to veganism. With such a down to earth attitude, a good dose of northern charm and jokes a plenty it’s no wonder people are already snapping up tickets to Justin’s show. If you want to catch Northern Joker it kicks off January 18th at The Lowry in Salford before touring the north. 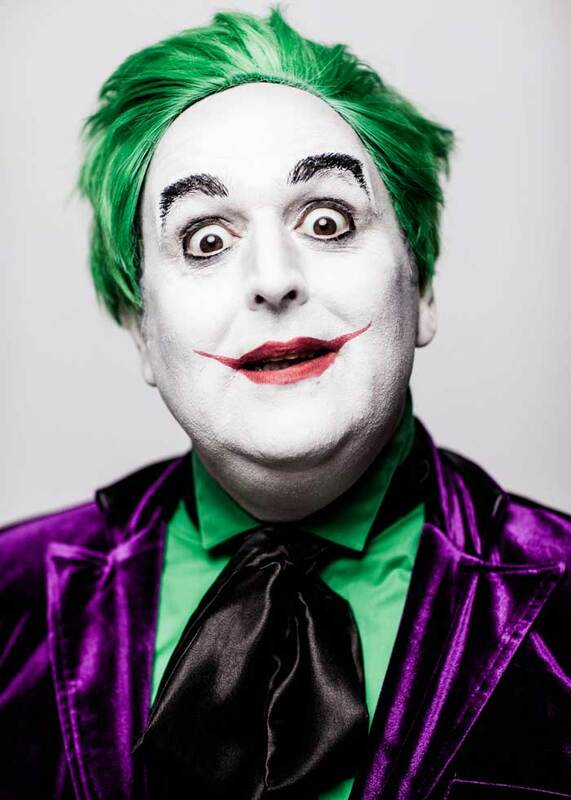 Check justinmoorhouse.seetickets.com for all dates. Previous articleSmile? Have you been affected by Posh Spice Syndrome?